Is an amazing fun day out for the whole family! 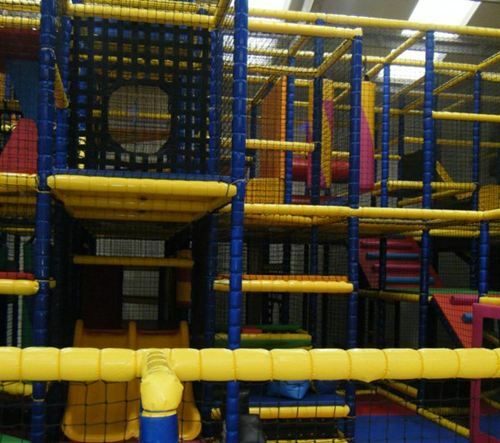 Kids can be entertained on the large extensive indoor soft play area - the only one of its type in the area! Or outside in the Paddock with football pitch, jelly belly, basket swing, trampolines, sandpit, pedal go-karts, grass sledges and bale haystack. Parents and carers can relax with a delicious coffee, snack or lite lunch! Suitable for 0 to 12 years with a height restriction of 4ft 9in (145cm) tall. There is an under 2's area with a small slide, pvc shapes, pvc puzzle pieces and some toys to play with. This is a gated to keep older children out and smaller children in. Please Note:- In severe weather conditions the playbarn may close early, please contact the playbarn by phone on 01651 873813 to find out further information before starting your journey. Discount is now available for Grampian Police, with 10% discount off of entry at the Playbarn, the coffee shop and parties, please show your ID Badge at the playbarn to receive your discount. 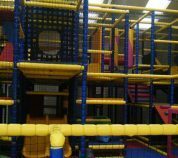 The Play Barn is our large soft play area - the only one of its type in the area! The Paddock features an enclosed safe, outdoor play area in our courtyard and coffee shop facilities offering quality food and beverages for both children and adults. 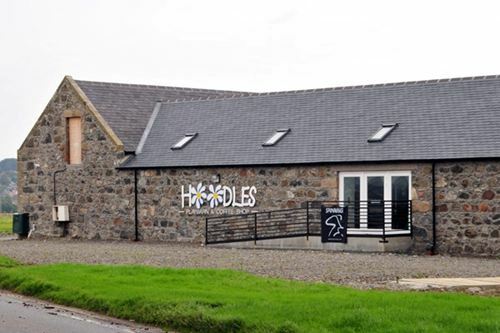 Hoodles Playbarn is also available for Private hire or Corporate events from 5.30pm any evening. Take away's are now available from Traybakes and Sandwiches for Business meetings, to Cupcakes and Victoria Sponges for that special occasion. Gift Vouchers are available for Purchase, please ask reception for details.